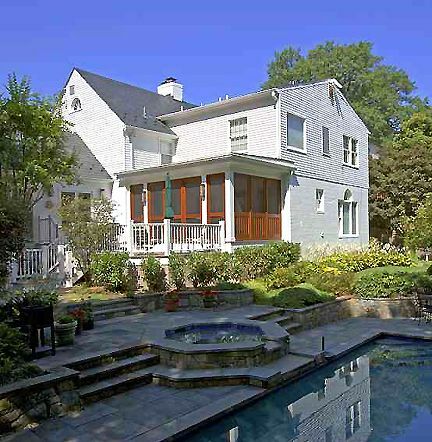 This backyard oasis, in the heart of Bethesda, MD, boasts a manicured landscape, pool, and custom spa. But the existing wood deck did little to enhance the owners’ connection or enjoyment of their outdoor space. With multiple levels of odd proportion, the deck was underutilized and a constant frustration. A new screen porch nestles seamlessly into the corner of the existing house and completes the composition. Incorporating natural materials like; Spanish cedar screen panels, and copper roofing the porch softens the line between inside and out while creating the perfect vantage point to watch over the pool. 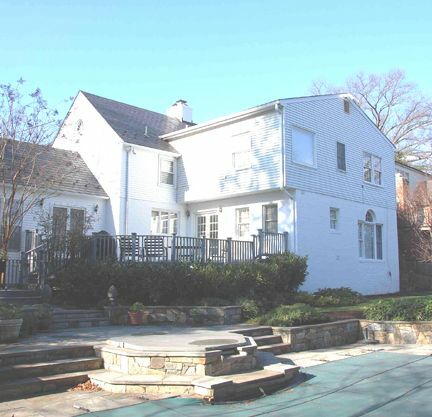 The remaining deck space, though smaller, is highly functional for both entertaining and access to the backyard. Constructed of high-quality composite materials the deck will be easily maintained so more attention can be directed to “spoiling the grandkids”. Inspired? Check back frequently to see more of our dramatic before and after.